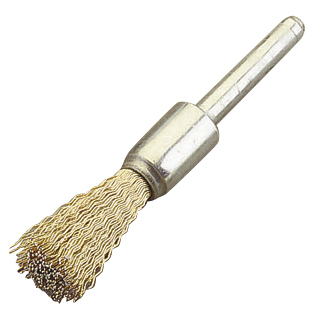 Applications: These wheel brushes are on 6mm spindles to fit in drill chucks or air-tool collets. They are made with brass coated crimped steel wire which gives controlled action in cleaning, coating and paint stripping, rust and tarnish removal. 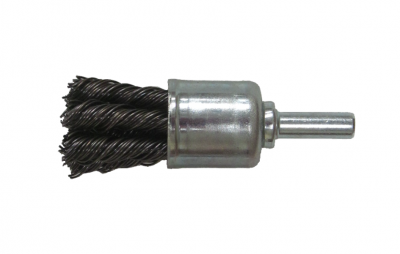 Mounted on 6mm (1/4in) spindles to fit air-tool collets and drill chucks. Brass coated steel wire is more flexible and less brittle than standard steel, for longer life. Free from oil coating contamination. Supplied singly or in discounted packs of 12.